Sedalia was the home of ragtime composer Scott Joplin, there’s a festival celebrating his music every summer. Sixty miles from Sedalia to Boonville to not far from Columbia. Lots of scenery, bridges and animals. 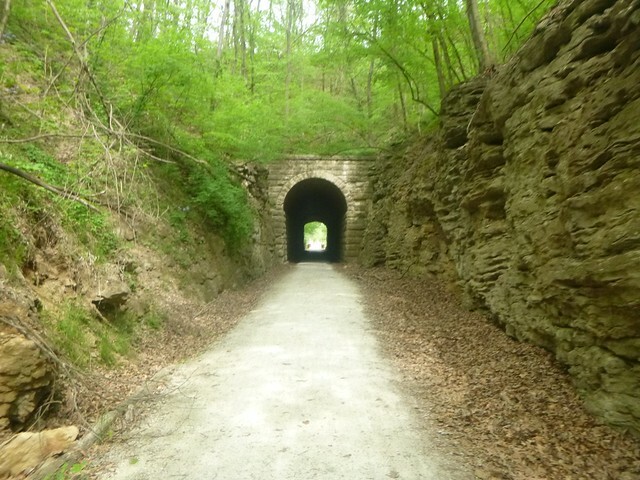 I knew about railroads, and Gene knew about the flowers, trees, insects, small animals, fish and snakes along the road. He also had read a book about the Lewis & Clark expedition in the early 1800’s, whose route followed the Missouri river. 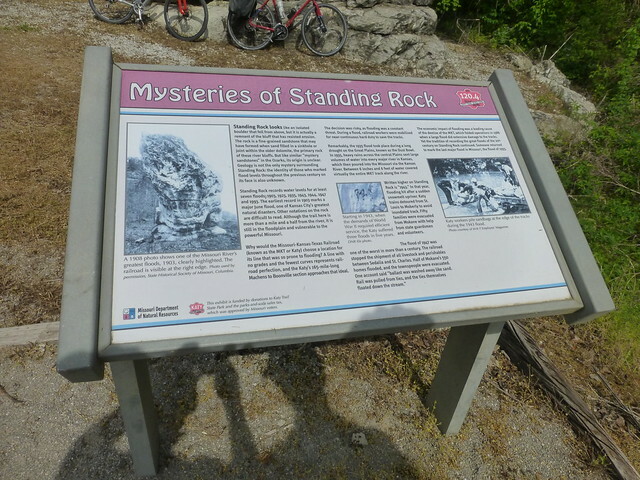 And what we didn’t know, we learned from the informative signs on each of the trailheads. Except for the bridges and an occasional telegraph pole, most of the remnants of the MKT railroad have been removed. However, there were a couple of block signals still in place. 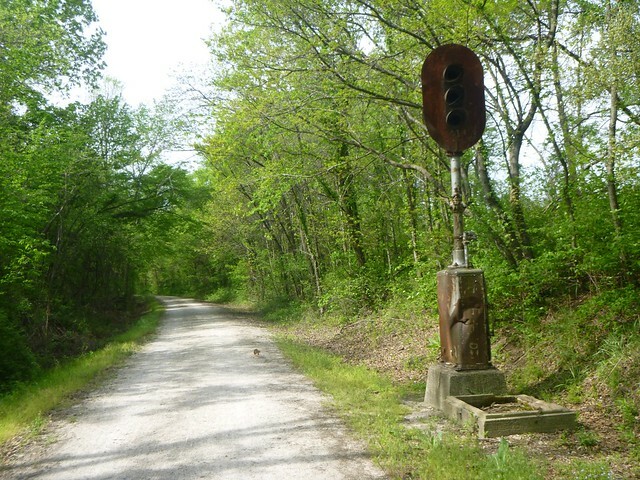 The last time this signal flashed “high green” was thirty years ago. 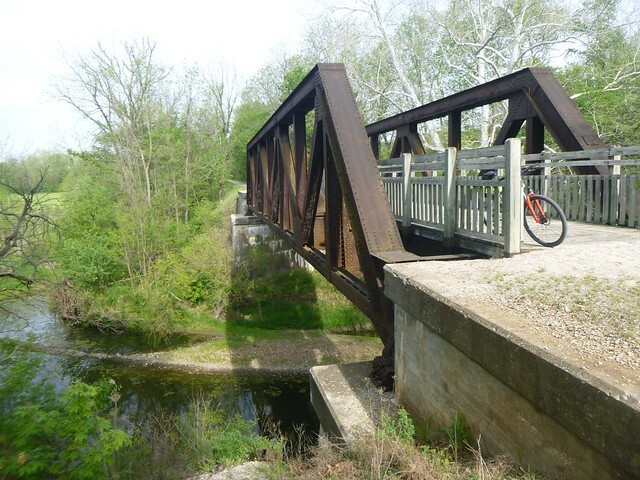 The infrastructure on this rail trail is remarkable, uniform and understandable. Before every town, there’s a sign that tells you its name and the services available. You’ll see lots of pictures of the shelters along the way. There’s one every few miles, and each has a clean toilet facility and shade, most have water, and all have interpretive signs. 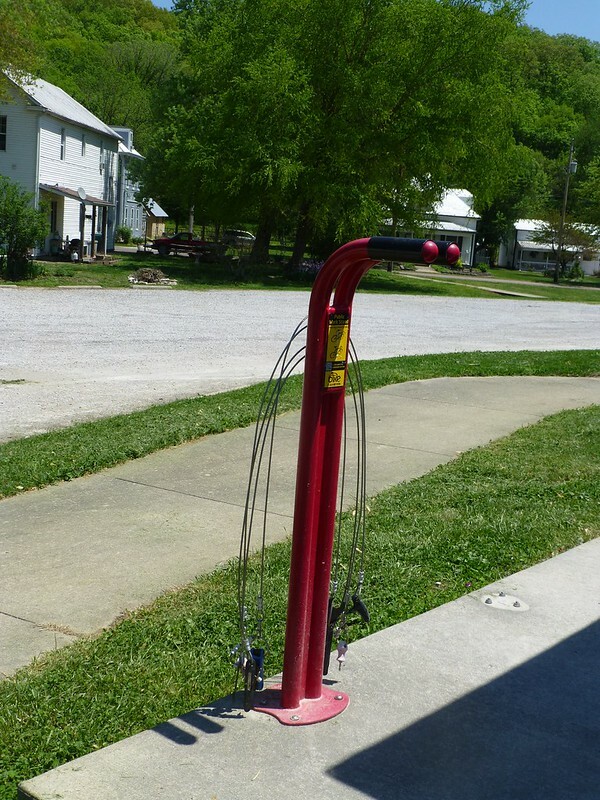 A few even have bike repair stations. And the trail went on and on. Our lunch stop was a small cafe in Boonville. This is where we met the Missouri River. 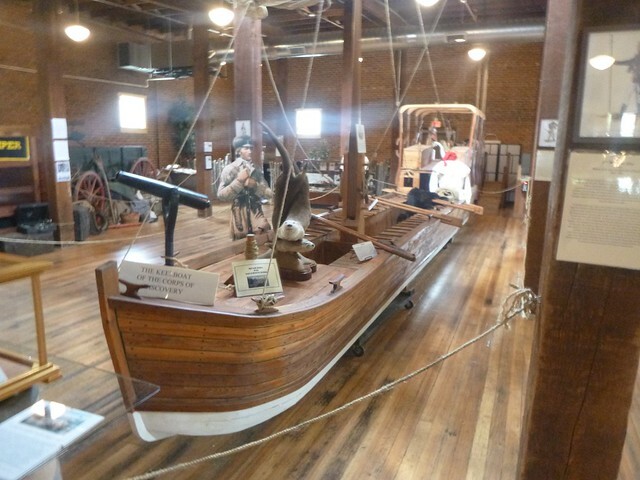 which had a museum with replicas of the Lewis and Clark expedition boats. 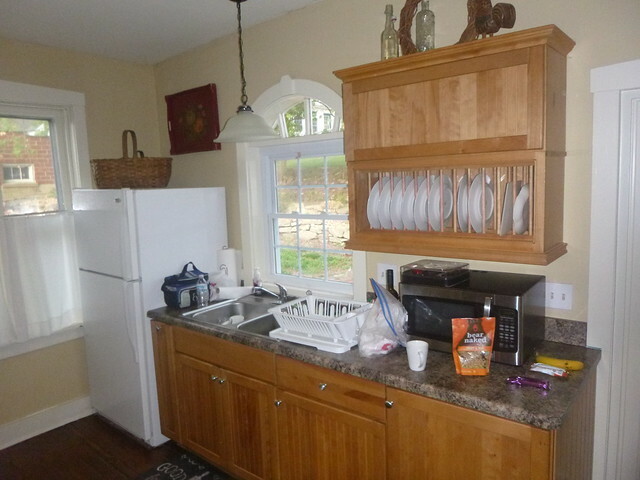 Then we realized that I had made a planning mistake. 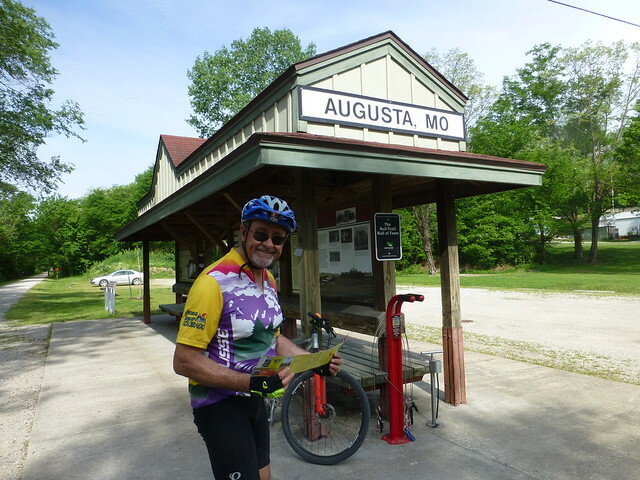 The plan was to ride to the nearest town to Columbia, home of the University of Missouri. It’s a big city and we ended up staying near an interstate surrounded by chain restaurants and hotels. 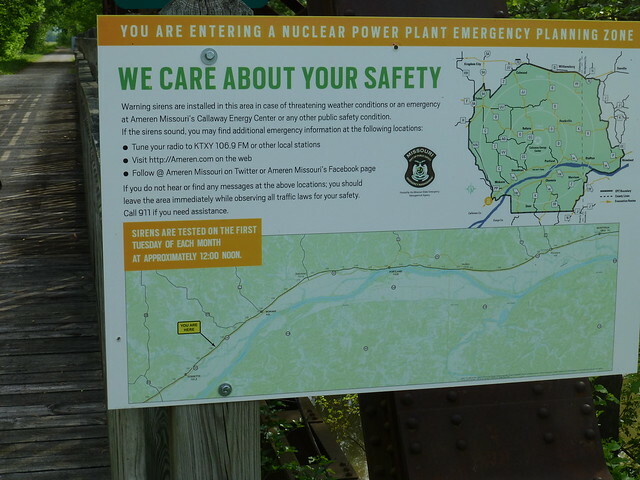 We should have stopped in Rocheport, after the only tunnel on the route. 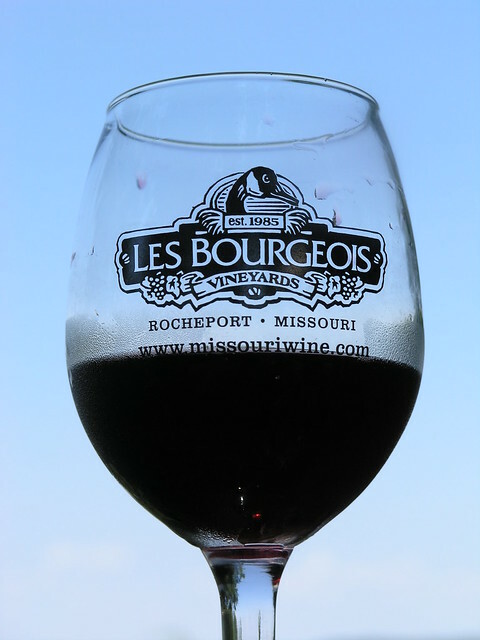 Rocheport is a wonderful community that has prospered because of the trail. 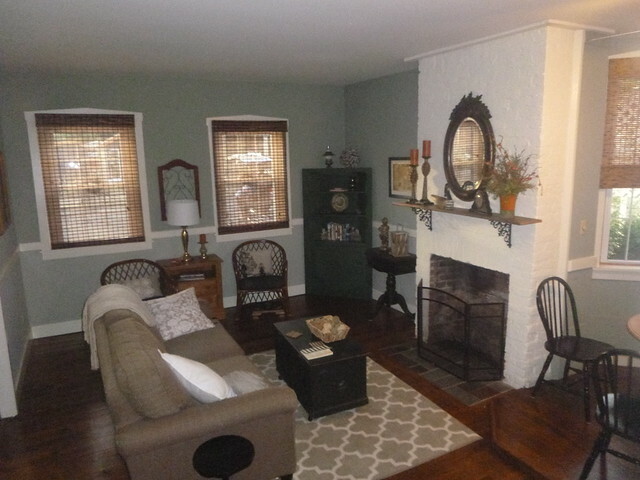 You’ll find several bed and breakfasts, restaurants and other cool places to stay and visit. It would have evened out the mileage, and was a real missed opportunity. 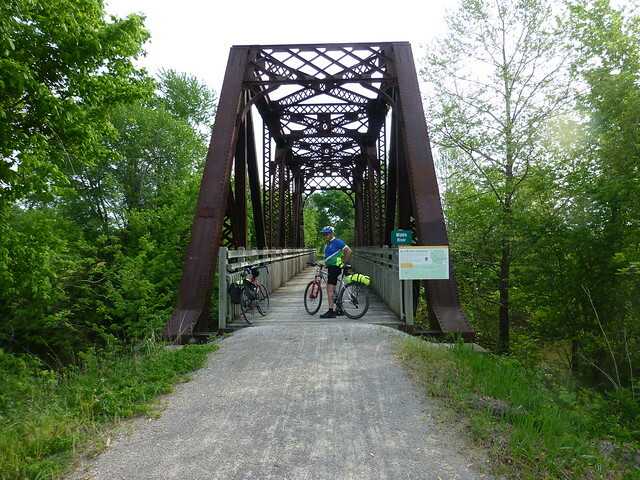 took us back to the trailhead at McBaine and we rode on to North Jefferson. It was a short and uneventful day. 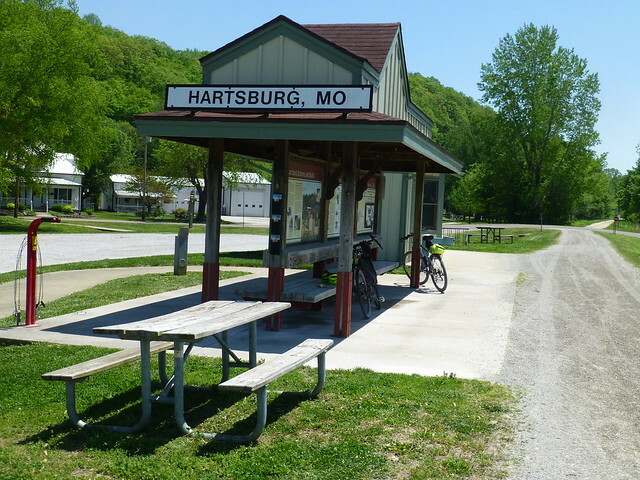 We stopped at Hartsburg, the only trailhead between McBaine and North Jefferson. The only other thing I though worth a picture were a couple of turtles and an old bridge. 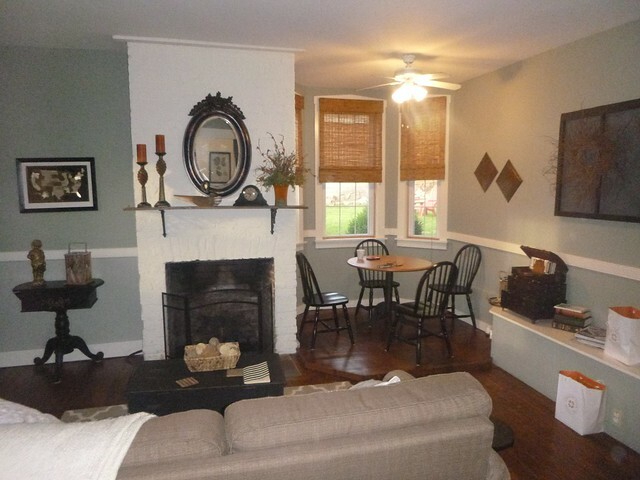 Jefferson City is the capitol of the state, and we stayed in a newly converted AirBnB. Unless you are from the state, or there’s something interesting going on at the capitol building (like the impeachment of the governor, for instance), there’s no reason to stop here. Judy Garland from the movie soundtrack. Guy Lombardo and his Royal Canadians. Our last day was not long but it was eventful. 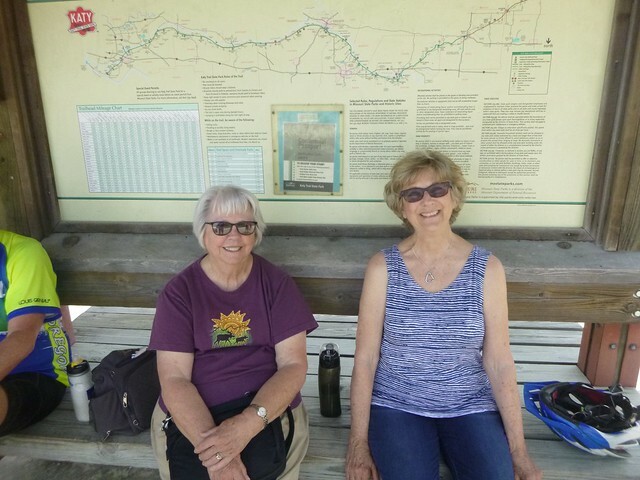 As we were unloading our bikes from the Treolar trailhead, a van pulled up with Illinois plates and out came four ladies of a certain age (our age or older, it looked). Two took out some pretty good looking road bikes and tooled off. 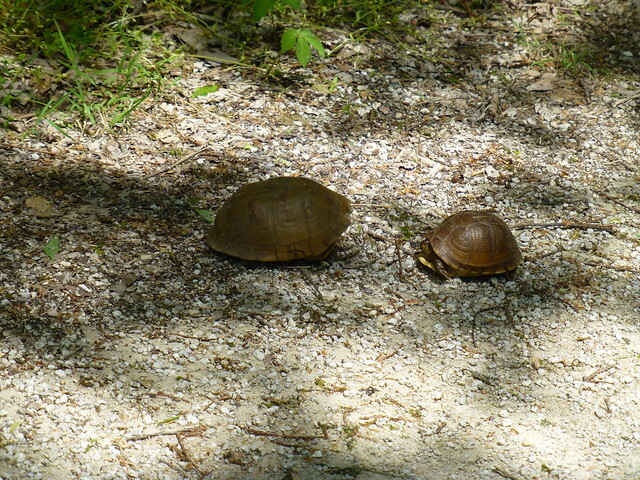 We thought we could catch up with them easily, but after five miles were disabused of that idea. 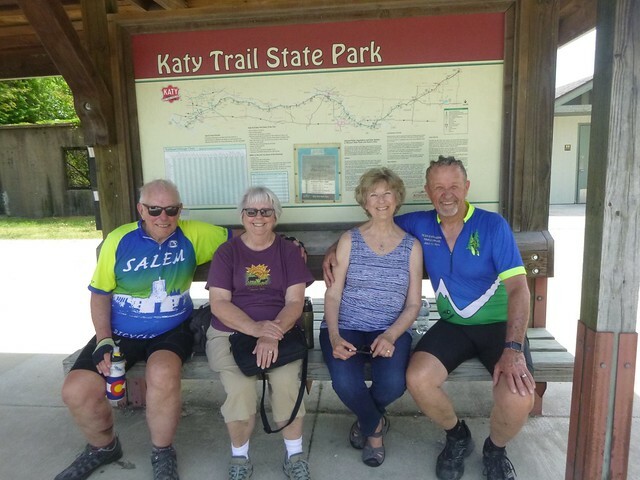 Gene finally caught up with the slower of the two, who told him that she was celebrating her 80th birthday by riding the length of the trail the second time (the first had been to celebrate her 75th birthday). Her companion, who disappeared like a shot after leaving Treolar, was a mere 73. The other two ladies in the car were a friend, and the mother of the 73 year old lady. 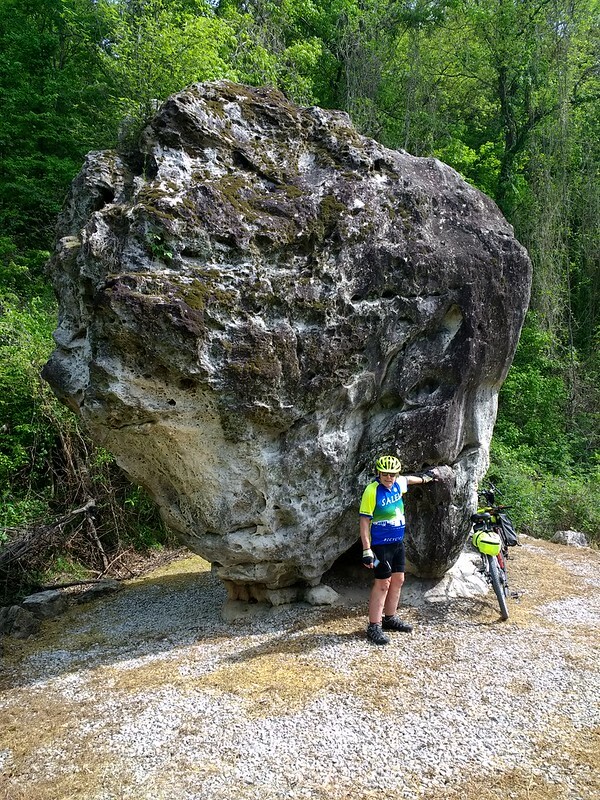 They were from downstate Illinois, regularly rode with a group of friends, and considered this a pleasant spring trip. The four ladies met up at the next trailhead for tea and pastries. That was inspiring. 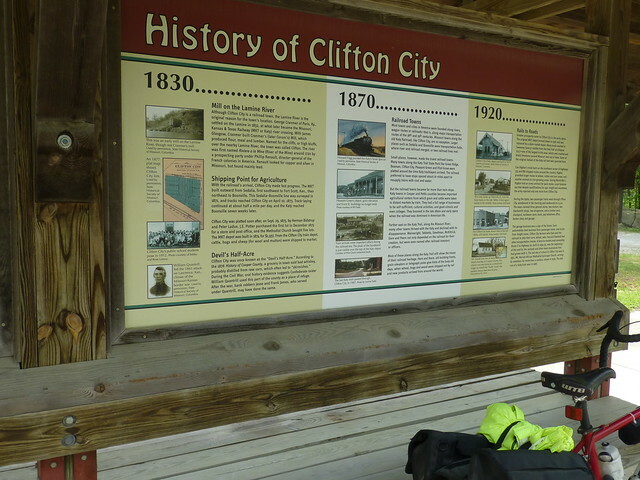 But the bike repair shop owner in Sedalia told us that the oldest rider he’d heard about was 93 years old, an former bicycle racer, who completed the whole trail in 3 days. It took us five. I was surprised when what looked like a black tree limb started to slither across the trail. 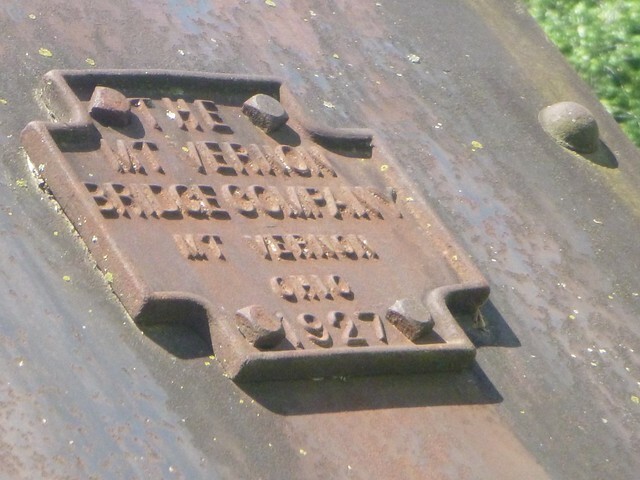 It was about six inches in diameter, and perhaps 4 feet long. Not wanting to find out more, I ran over and either killed or maimed what Gene told me later was a deadly water moccasin. 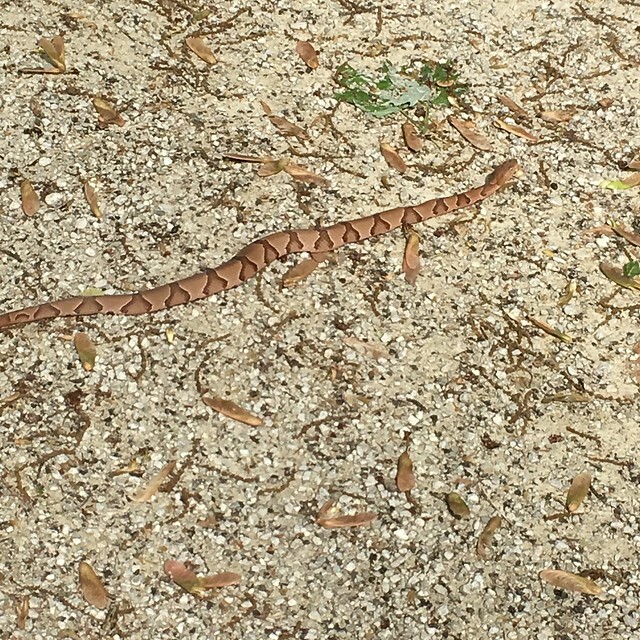 A couple of miles farther, Gene saw and photographed a copperhead sunning itself on the trail. Onward. 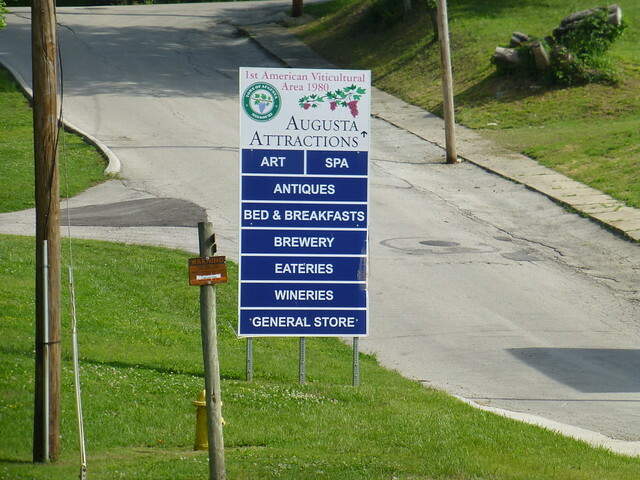 Augusta has many interesting shops, galleries and restaurants to explore. 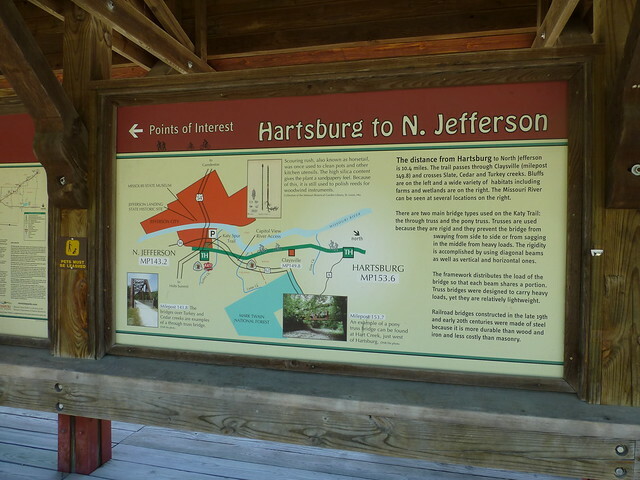 and a sign at the trail invited you to explore more. The trail then went through an area that was completely isolated from roads and improvements, or any sign of civilization. The vegetation reminded me of photos of a tropical rain forest. Matson, Defiance, Weldon Spring passed by quickly. 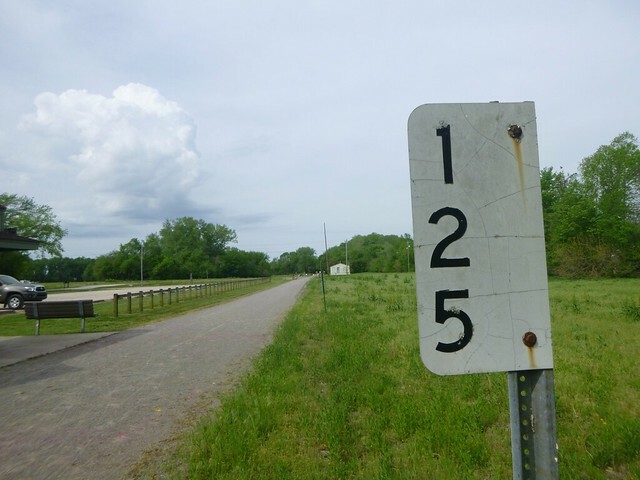 We knew we were approaching St. Louis because the number of riders, joggers and walkers on the trail increased dramatically. At Defiance, the water was off at the trailhead, but a few feet from the trail, we stopped at Terry & Kathy’s Tavern, and Kathy filled our water bottles with a smile. 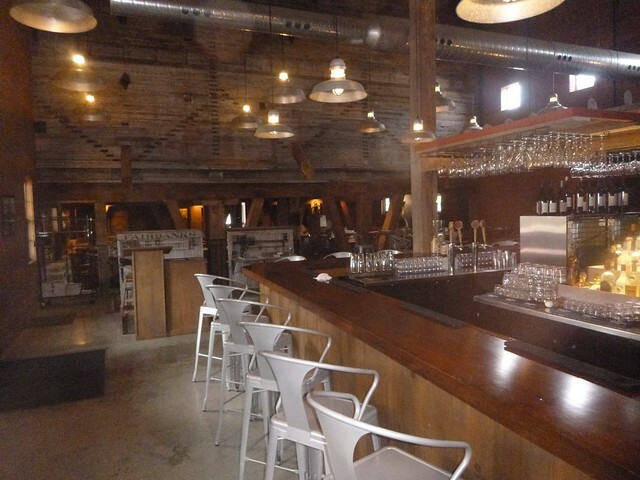 The area became more industrial, although since we were on a former railroad track, it was hard to tell where we were. But the two road overpasses from St. Charles to St. Louis made it clear that we were nearly done. 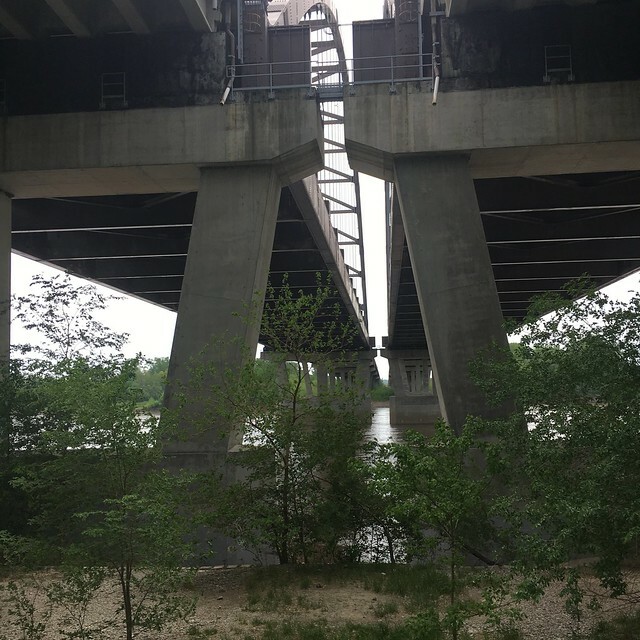 Apparently, you can ride on one of them, but not the I-70 bridge. 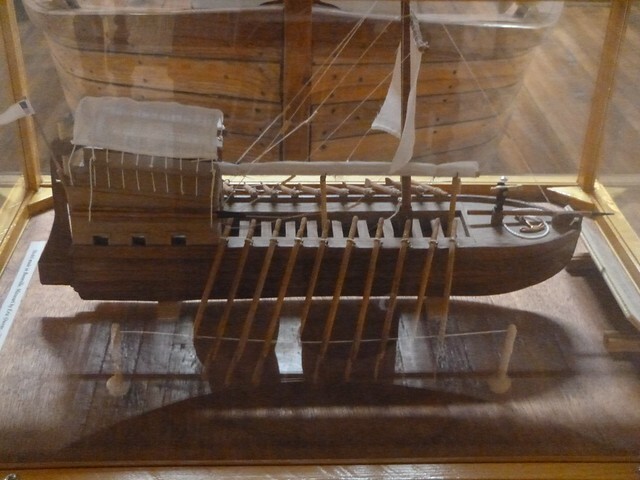 Our adventure ended in St. Charles, at the Lewis & Clark Museum. I noticed with interest that the parking lots had several trucks, busses and vans from the tour companies that provide Katy Trail shuttle services. But the black skies to the southwest and the winds suggested that we ought to wait in the entrance for the museum. Good idea; a rain – the first we’d encountered – hit a few minutes after we had arrived. We put the bikes on the rack, gave a thumbs up, and our adventure was done. There’s a story about the jersey I wore. Ask me about it sometime. In June, 2017, we attended the memorial service for Warren Humble, a good friend from Rifle. 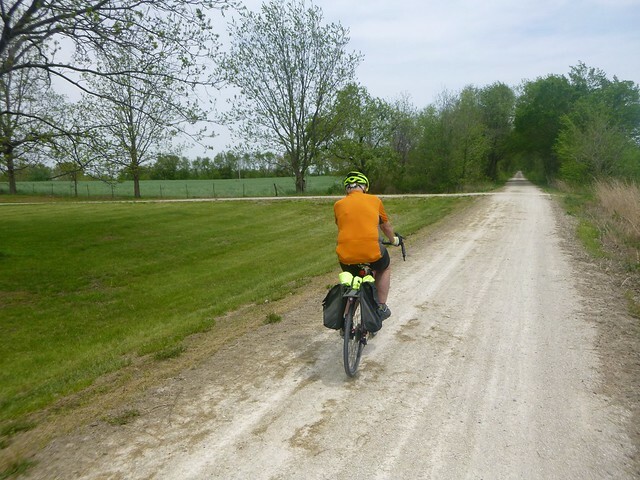 At the service, his wife mentioned how much she and Warren had enjoyed their rail trail bike trips, starting with the Katy Trail in Missouri. Gene Byrne, another friend from Rifle, and I talked about it later, and as it turns out, both of us wanted to ride the trail…so we talked over the winter and planned it. Our wives, Georgia and Maggie, agreed to accompany us and be our sag wagons. 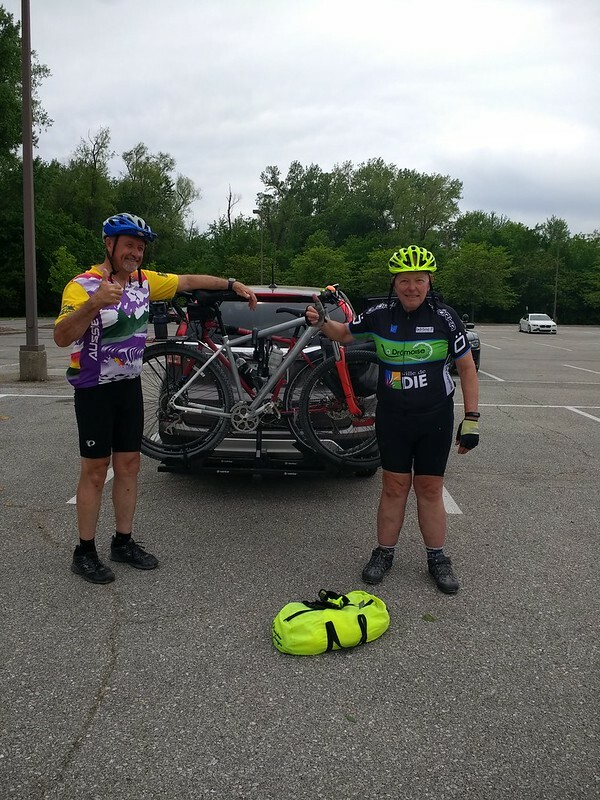 We decided to meet up in Kansas City and ride at least some of the new Rock Island Spur to the Katy Trail to St. Louis. Unfortunately, the trail won’t go all the way, but it is close. We decided that we were a bit beyond the camping stage, so I found several AirBnBs along the way, and we alternated them with hotels. 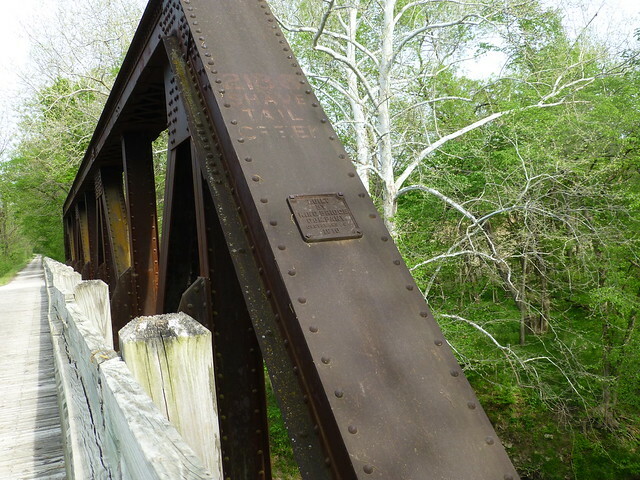 As one of the oldest and longest rail-trail conversions, there’s a lot of material available online and by mail on the Katy Trail. Almost too much information. 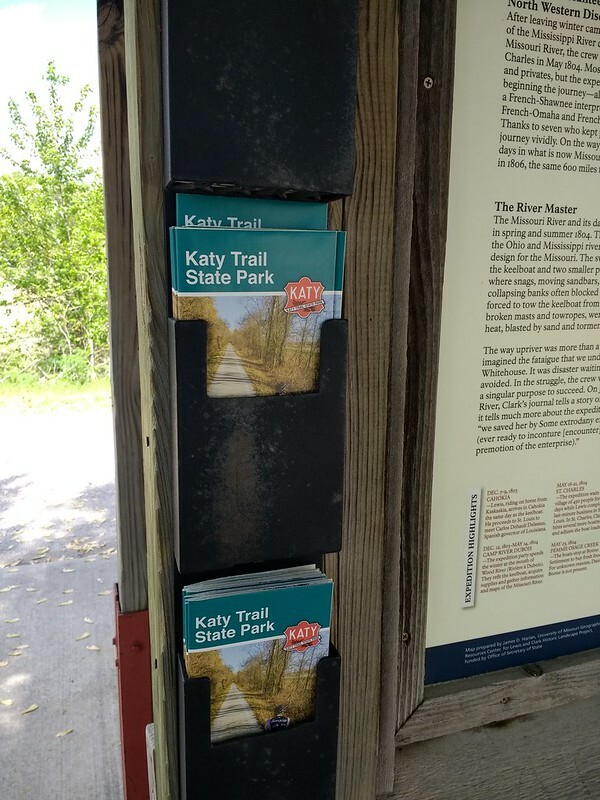 and you can request a copy by mail at https://mostateparks.com/park/katy-trail-state-park or by writing to Katy Trail State Park, 5901 South Highway 163, Columbia, MO 65203. 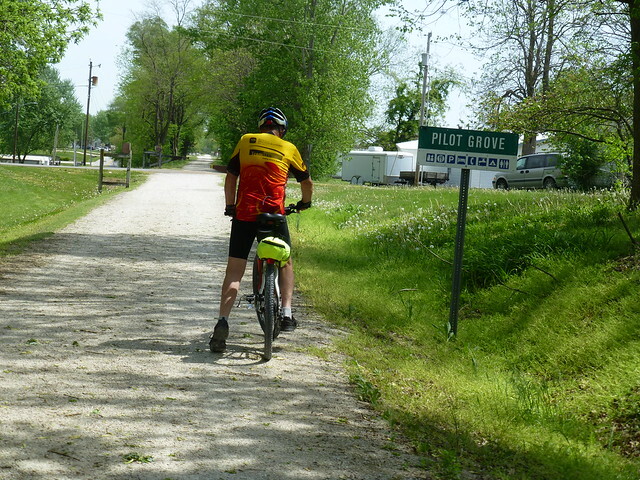 Phone 573-449-7402.
http://www.bikekatytrail.com/ has a wealth of information and advertisements including facilities available at each of the towns along the way. The web style is 1995, and some of the information is outdated, but it’s still by far the best resource available online. 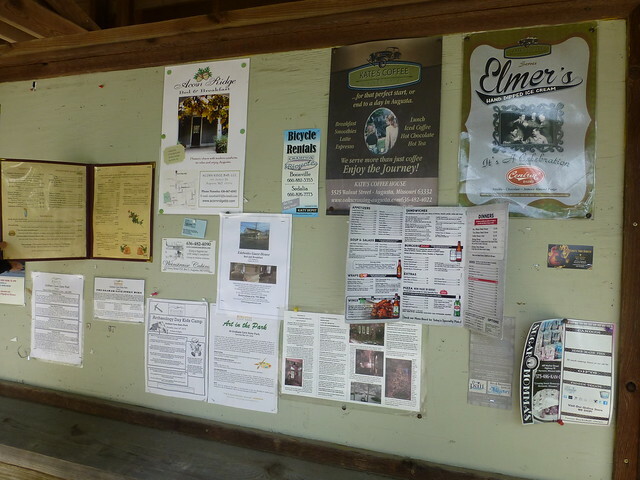 There is also an active message board of others who want to take the adventure. 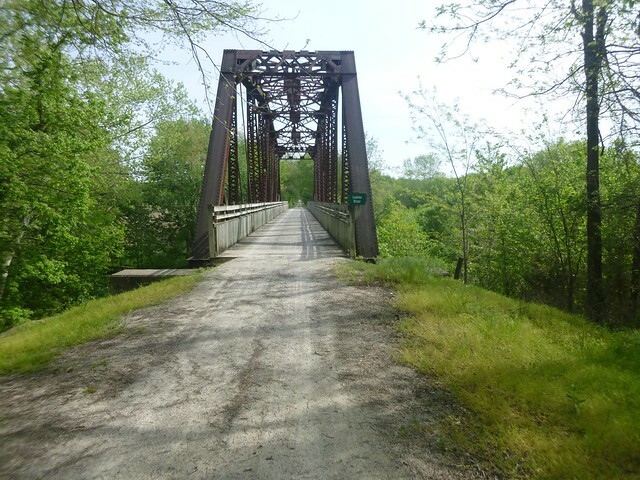 The Rails to Trails conservancy’s website, http://traillink.com, has maps, photos and reviews of the Katy Trail, the Rock Island Spur, and every other worthwhile bike trail in the US. Consider joining the Conservancy. It’s a §501(c)(3) charity, so your membership may be tax deductible. Google and YouTube list hundreds of personal blogs like this one and videos of adventures along the trail. 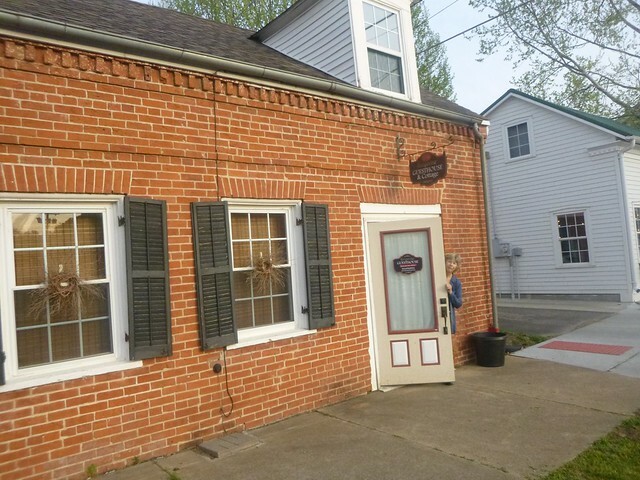 The chambers of commerce and tourist bureaus of the towns along the route have websites of varying usefulness, and listings of hotels and traditional Bed & Breakfasts. The ubiquitous AirBnb has listings in many, but not all, of the towns along the route. 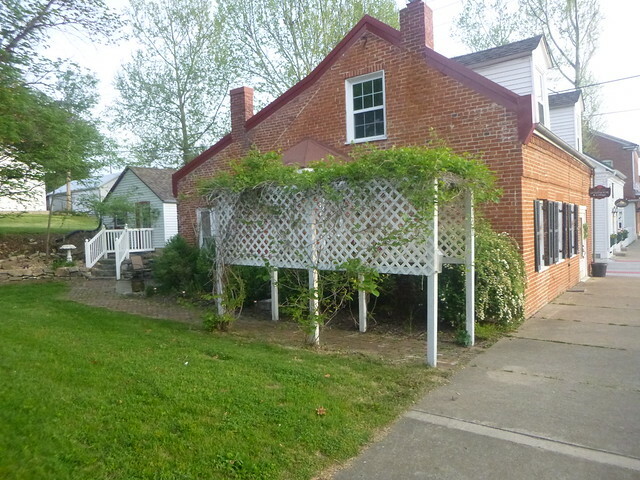 We were very pleased with the AirBnB in Hermann and Jefferson City. 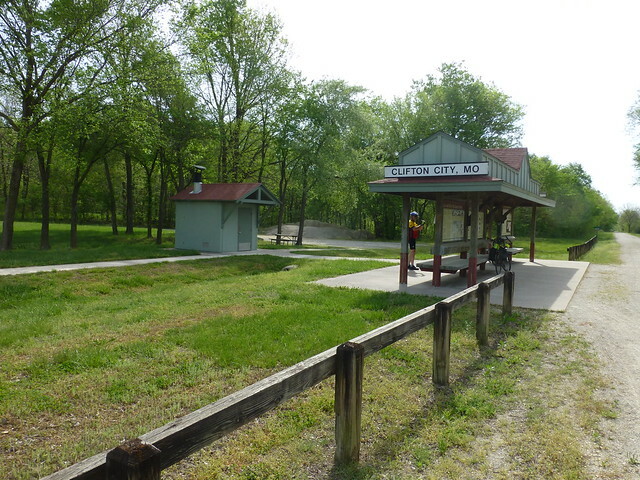 The Missouri State Parks website includes information on an annual supported trip along the trail. If you want someone else to plan for you, and you enjoy camping with several hundred of your new friends, this is a good option. If you don’t, several companies offer shuttle and reservations for a semi-supported tour; I have heard good things about Independent Tourist. 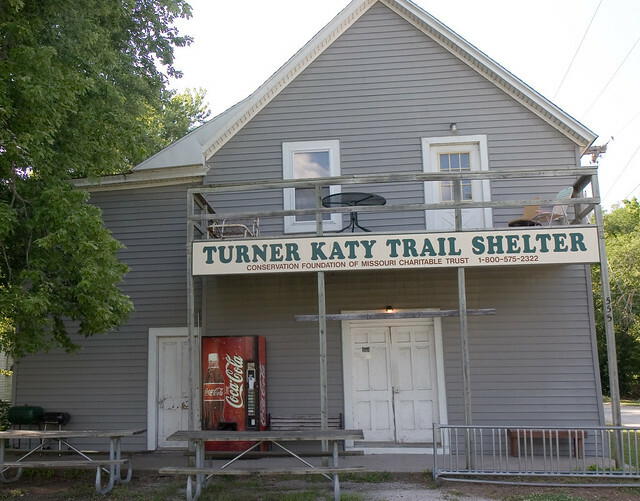 The senior-oriented educational group Road Scholar (formerly known as Elder Hostel) also advertises Katy Trail adventures. These are my subjective opinions. Take them for whatever they’re worth. We went from west to east in 5 days. It was just the right amount of time for the trip, and I’m glad we went in this direction since the winds and afternoon sun were favorable, and the trail got much more interesting the further east we went. We went in early May, and the weather was perfect. Until the last day, no thunderstorms. We also didn’t see or hear of any tornadoes or flooding. But it happens. Same, I understand, for the bugs. I wouldn’t want to go in the heat and humidity of July and August, but September and October sure look appealing. 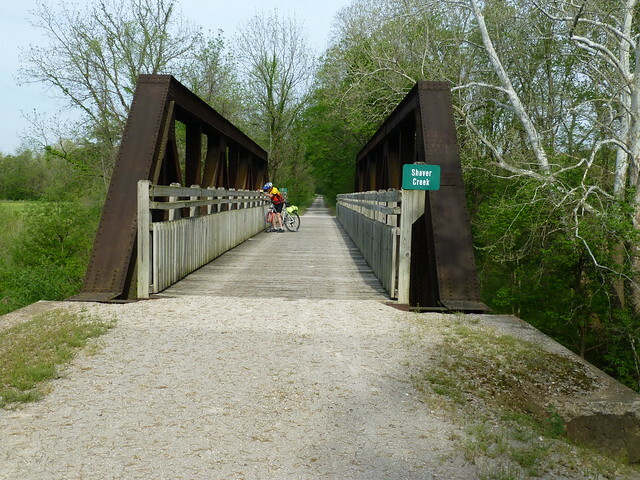 The Rock Island Spur is new, interesting and worth taking instead of the Katy Trail from Clinton to Windsor. There are, shall we say, better overnight choices than McBaine/Columbia and Jefferson City. 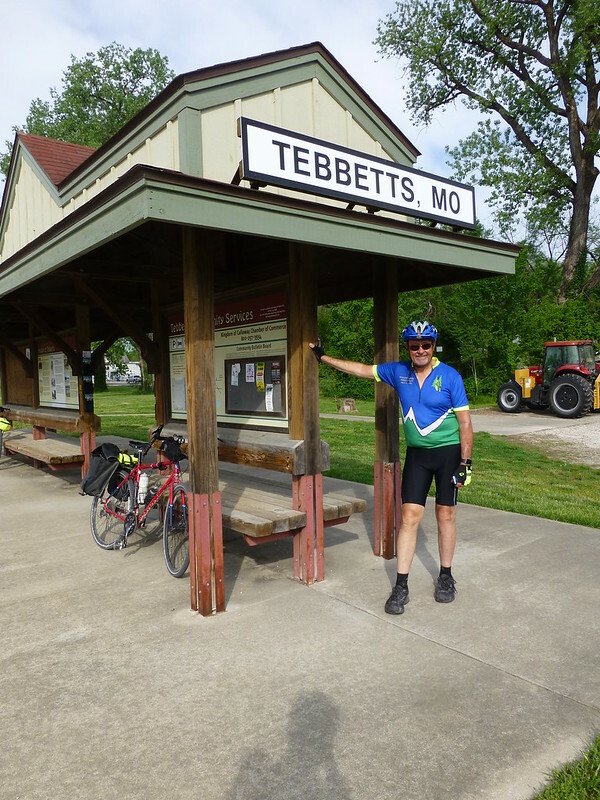 The old Sedalia depot, now a museum/gift shop/bike shop is worth an hour, and is a great place to buy souvenirs, jerseys and T shirts, but it closes at 4. 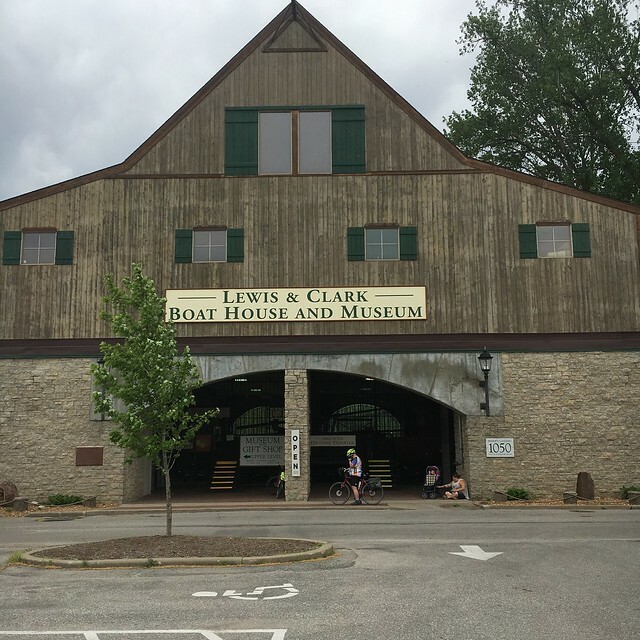 The museum in the Boonville chamber of commerce (located near the Boonville depot) is worth a stop to learn about Lewis & Clark. 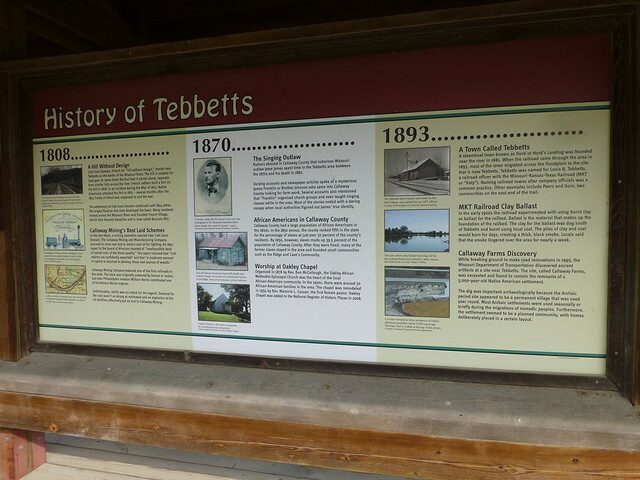 You’ll see lots of interpretive signs about their expedition along the trail.